Zeiss Biotar 35mm f2 in Arriflex Standard Mount, plus PL adapter made by c7adapters.com. The adapter doesn't fit the Arri Amira/Alexa Mini PL Mount! Glass without scratches or fungus. Some dust particles inside. Smooth Aperture and focus rings. Glass is clean without scratches, haze or fungus. Focus, aperture and zoom rings run smooth. Slight wear on the body. Glass has no scretches, haze or fungus. The body has some wear. 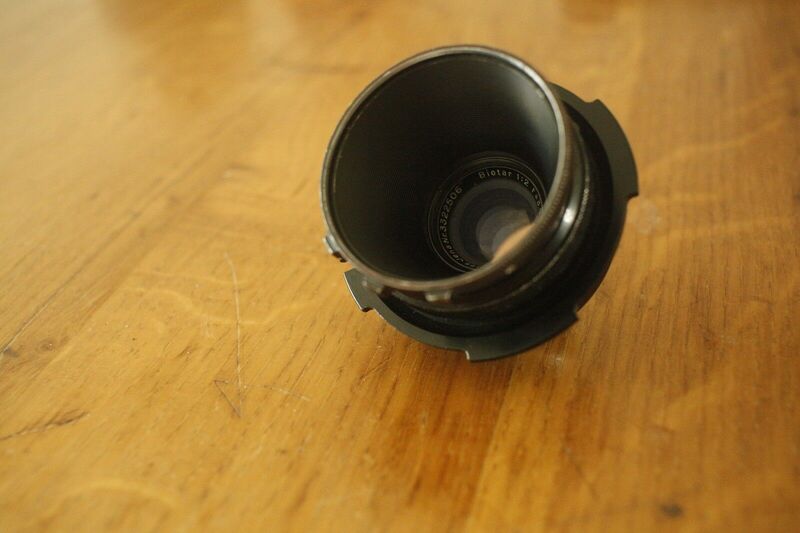 The lens has been professionally modified in order to be usable on PL Cameras. All lenses are located in Zürich, Swizterland. For any question feel free to email me at vanja.tognola (at) gmail (dot) com . To see more pictures, check the ebay link or ask me directly!